Sharing your life with an animal is one of the most rewarding experiences in the world. It teaches us about unconditional love and what loyalty truly means. It shows us the importance of being selfless, of caring for another creature and seeing the beauty in everyday things. Being a pet parent is about opening our hearts and baring our souls. Yet, what we receive in return is something that cannot be put into words. At Town and Country Animal Hospital, a Mt. 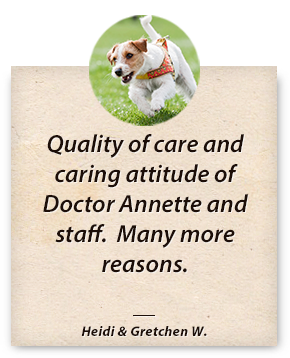 Airy veterinarian, we understand the unbreakable bond you share with your pet. It’s a connection each one of us shares with our own animal family members. That’s what makes treating your companion with gentle compassion so natural. 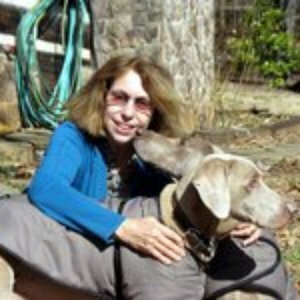 We draw off our own experiences as pet owners and channel that into the care we deliver. 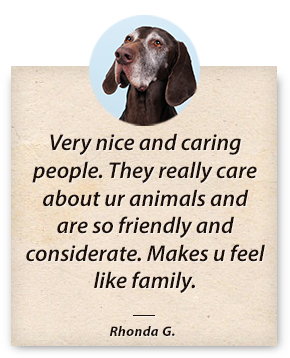 The result is a warm, welcoming experience with like-minded people who genuinely care about the wellbeing of your pet. Combining high-tech medicine and advanced treatment options with honest, supportive and personalized service, the result is exceptional care unlike anything you’ll receive elsewhere. In fact, it’s why more responsible pet parents choose us as their Mt. Airy and Habersham County vet. Ready for a positive change? Call or stop by today.